If you’ve got some time and would like to see some amazing riding, check out this full-length, GoPro video of Jonny Walker winning the 2014 Red Bull Erzbergrodeo Hare Scramble. Even just the first few minutes make for great viewing. Check out the hair-raising jump at 1:31. The Erzbergrodeo is a four-day event held in Eisenerz, Austria. It closes with the Hare Scramble, which looks like one tough race. This promo film is amazing. Two guys, Adam Riemann and his friend Mark, ride two KTM 500EXCs 7,000kms (4,350 miles) from Austria to Egypt in 32 days days, filming as they go. 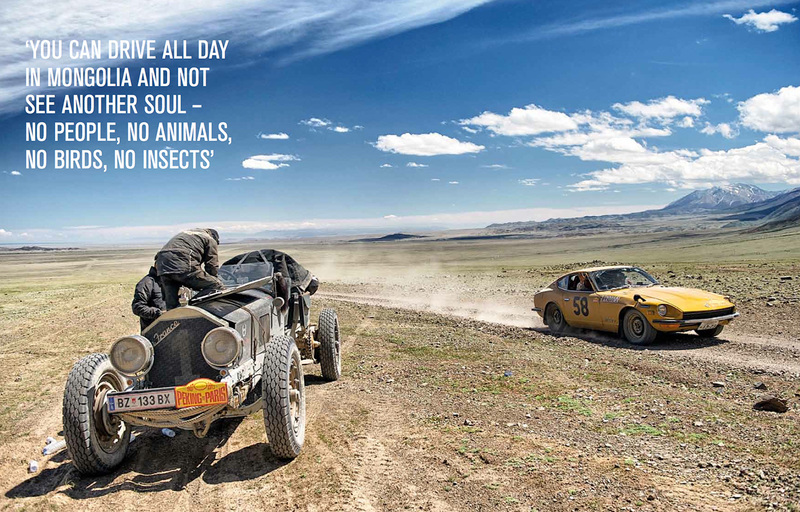 They have no support crew and no back-up vehicles. Everything they bring, they carry on their backs or their bikes. That’s thousands of miles overlanding on a couple of 500cc dirt bikes. Awesome. The full-length Motonomad film is scheduled to be released next year. The aerial shots were filmed with an XAircraft X650 quadcopter. Hats off to these guys. This film from the 1960s shows the then popular sport of motorcycle scrambling, which eventually would turn into enduro. It’s a fun little film. 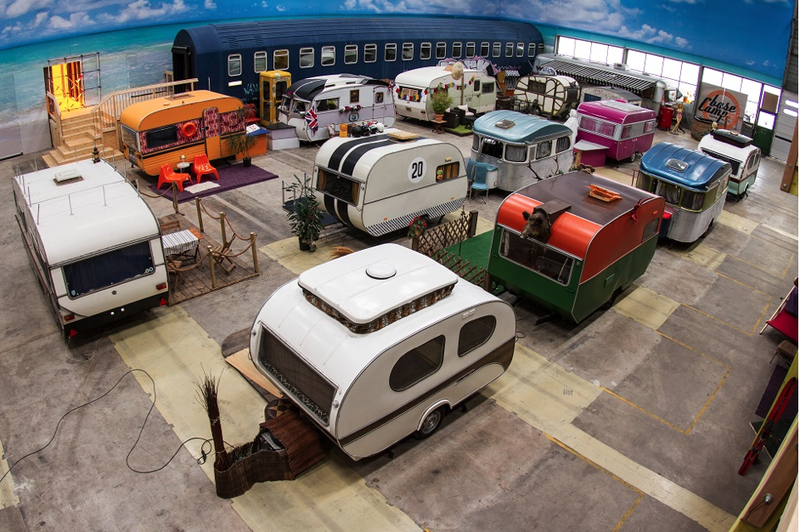 There’s a fantastic looking hostel in Bonn, Germany, called BaseCamp, that’s made up of camping trailers parked in a giant warehouse close to the city center. Lodging is not limited to campers. They also offer a railway sleeper car, VW camper buses, even a former East German Trabant with a tent on top. The hostel has a 120 bed capacity and rates range from $32 to about $100 per night. What do you get when you put a 750cc, 150hp sportbike engine in a 687 lb. kart? A “Crosskart” that produces about as much horsepower per ton as a Lamborghini Aventador. 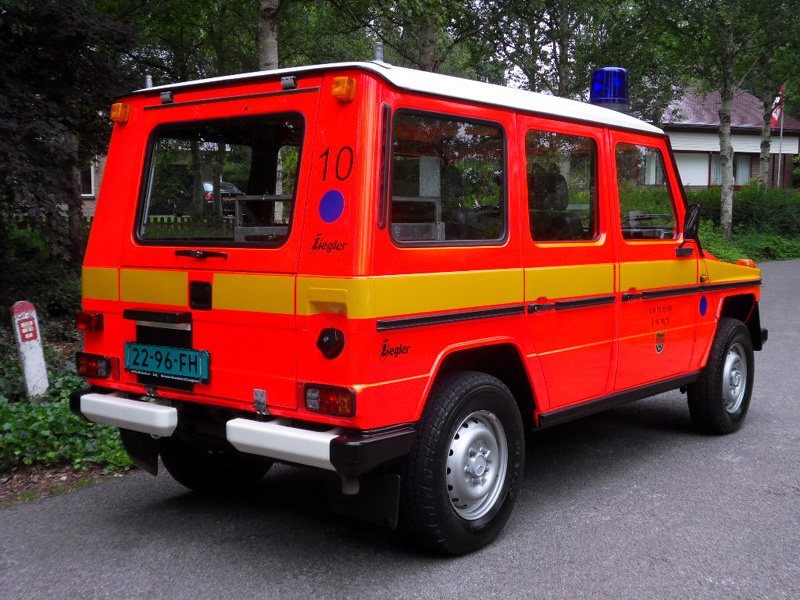 A pretty amazing thing showed up on Bring a Trailer yesterday: a Dutch company that sells vintage G-Wagens from German fire departments. They’re all incredibly low mileage, reasonably priced, and — if I know anything about Germans — extraordinarily well maintained. Take the 280 GE above example. It’s covered only 21,000 kms since 1983. That’s only a hair over 13,000 miles! The price? 19,900 Euros. You’d pay a mere $26,259 at today’s rates. This one is equipped with a gasoline-powered, 6-cylinder, fuel-injected, M110 engine, mated to a manual transmission, of course. The ad doesn’t state whether the emergency lights and siren are functional but that awesome fluorescent red paint seems to be working just fine. It’s over 25 years old, so importing it to the U.S. should be hassle free. And this isn’t the only one on the site.